Enjoy unlimited visits to Raging Waters San Jose, exclusive discounts on friend tickets and more! Get unlimited family fun all summer long! Buy a season pass today. 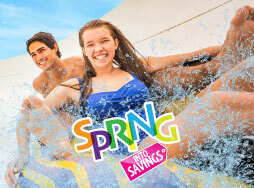 Unlimited Admission - Unlimited Visits to Raging Waters San Jose for the entire season! 3 Parks for the Price of 1 - You must process your Raging Waters San Jose Season Pass first, before the Three Park Pass is activated. No Exceptions. Your Raging Waters Season Pass is valid on public operating days at San Jose, LA and Sacramento. Free Friend Ticket One Bring-A-Friend Ticket valid Opening Day - 6/21/19. Not valid on first visit. 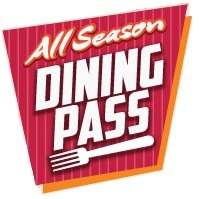 Will receive ticket when processing pass on first visit at Season Pass Processing. Passholder must be present to use ticket. Free Friend Ticket One Bring-A-Friend Ticket valid Weekdays 6/24/19-8/7/19. Not valid weekends or holidays. Not valid on first visit. Will receive ticket when processing pass on first visit. Passholder must be present to use ticket. Free Friend Ticket VIP Bring-A-Friend ticket valid any weekday operating day during the 2019 season. Not valid weekends or holidays. Will receive ticket when processing pass on first visit. Passholder must be present to use ticket. Pays for itself in less than two visits - Amazing Deal! VIP Season Pass holders present their VIP Season Pass Card in order to redeem a 20 oz Fountain drink only. *VIP Season Pass Unlimited Beverage may only be redeemed 1 Beverage per transaction. This unlimited beverage may be used as a souvenir cup refill. Did you know that you can update your Raging Waters Profile?